I love rhetorics, and to me, shopping cart abandonment is like a person calling off his marriage on the day of the marriage. Imagine the mental state of his partner. Cart abandonment puts shopping sites on the receiving end of a similar experience. Adding punchy headlines and improving the web form design are all quick-fixes. The permanent solution is to design an effective checkout process, so the customer retention rate increases and the rate of abandonment shoots down. First, marketers need to understand the severity of the problem. The abandonment rate is not 5% or 10%, it’s a staggering 67.75%. I deliberately made it bold, just to describe how big is the challenge. And if that doesn’t frighten you enough, then here’s another shocker; the cumulative volume of abandoned merchandise is worth $4 trillion. The stat figures here indicate how difficult it is for a marketer to build an effective checkout process that facilitates conversion. But difficult is one thing and impossible is another. It’s difficult undoubtedly, but it’s not impossible. To build the best checkout, first you need to understand the key reasons behind cart abandonment. The RRP principle advises us to withhold the price until a customer steps forward in the sales funnel. It has some benefits, but on the downsides, the customer’s reaction to the fine print remains unknown. The result of this is customers abandoning the cart due to a shipping cost that they least expected. Issues with payment security can also be a reason, but not as impactful as the first one. The unimpressive design of site layout and the form section is yet another reason. Such design may confuse visitors, causing them to abandon the checkout process. Not having promo code may be an issue too. Mandatory account registration is a big reason. Registration steps are long and tedious, more so, not all users feel comfortable sharing personal details. The strategies to build the best checkout process acknowledge the bottlenecks, stem from the reasons above and aim to solve them. It takes less than a second for a visitor to form an opinion about the checkout page. The problem is even one second is not enough to go through all the design elements. Besides, CSS files may not completely load and the visitor may form a negative impression about the page. Many e-commerce sites (Nearly 24%) require the shoppers to open an account, which makes the checkout process lengthier and the usability guidelines are also not always followed by them. Customers may feel a bit relieved after every step knowing they are moving closer to the final step. During the steps, customers may need help. Live chat support should always be available to them. Due to something that needs urgent attention, a customer might have to leave the checkout process. The “save to cart” option allows him to complete the checkout later sometimes. It should be optional and not compulsory. The presence of a return policy assures customers that they could return the product if they feel so. The buttons should be prominent and have color contrast, so that customers notice them. Allow customers to view past and present order details. Allow them to write reviews too. Studies have found that design issues account for more than 40% of usability issues and are causing the e-commerce segment to lose as much as $1 billion each year. Promotional claims often fly in the face of evidence. The online consumer review sites are here to supply evidence. According to statistical data, 88% customers trust online reviews, 85% consumers read reviews before they purchase and more than 65% of them read as many as 6 reviews. Product photography is not optional, though many e-commerce brands think it is. Good product photography aids in marketing. An ordinary product, captured by a professional’s lenses doesn’t look ordinary. A site’s loading time shape the product viewing experience. If the site takes too long to load, users will probably abandon it and turn to one of its competitor sites. This is the era of 3D and customers want to view a product from all angles. By dispensing a 360° view of the product, a brand can optimize the product experience. Stats indicate that more than 90% customers use video for running their campaigns and over 80% of them believe the use of video brings positive impact on their campaigns. The benefit of product video is the engagement is product-centric; users are driven to the product. As you can see in the image above, all the available items and the online items are shown to customers during the checkout process. Listing recommendations increases the selling opportunities. What if a customer is searching for a product that’s not currently available? Allow back order. Tell the customer that he can order it. As soon as you have it delivered, it’ll be shipped. A back order request must be drafted in a very careful and humble manner. The popularity of promo codes is steadily on the rise. The strategic use of discount is a core element in the psychology of pricing. Promo codes lure consumers with discounts and increase customer footfall. Customers are so taken with promo codes that 57% of them don’t shop from brands that don’t offer promo codes. Payment security is a concern for customers of all types. They carefully examine whether the checkout page is “HTTPS” enabled. Almost 60% consumers abandon the cart if their preferred mode of payment is not available, and 40% trust retailers that offer multiple payment methods. Offering promo code is not easy for online shops. At the same time, not offering it may result in losing potential customers. Discount deals can offset the unavailability of promo codes. Having more than one payment option indicates earning customer’s trust and easing the payment process for them. Nothing maligns a brand’s image more than hidden fees. This holds true for all kinds of brands, not just online retailers. Eliminating hidden fees benefits customers and helps the brand appear trustworthy. Customers are worried about possible security breach. Make sure the site is TLS verified and recognizes virtual cards. Follow the latest security guidelines to assure customers that your payment system is fully secured. The checkout process can never improve if shipping is not optimized. Shipping time and charges are what customers consider important. More than 50% customers will select a new retailer if the shipping charge is high. 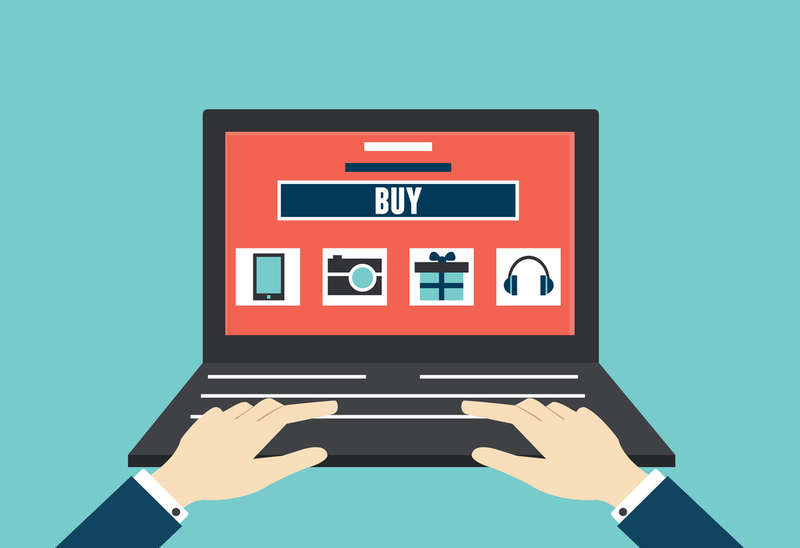 24% customers feel the product should be delivered on the day of purchase. Most importantly, over 80% customers feel they’d shop more if no charges are associated with shipping. Reveal the tentative shipping date. Customers don’t want to wait for the product with their fingers crossed. Give them a definitive shipping date and positively deliver the product on that date. It’s not possible for an online shop to offer a product to an overseas customer on the date of buying, unless the shop operates globally. Hence, install a cutting edge PoS system to calculate the delivery time depending on geographical regions. All customers should be provided with tracking numbers so they can later check the status of their orders. For mid-size brands, it’s difficult to offer free shipping. They can put some terms and conditions. Don’t keep any of those terms hidden. Reveal them when the customer is in the middle of the checkout. Customer feedback surveys can improve conversion. But customers don’t prefer this much. How about conducting surveys only to repeat visitors? Not bad as an idea. The tips shared here are unique, in a sense that no online shop has applied all of them yet. Would yours be the first one? Let us know in the comment section.